As per HP, the Jharkand government ordered 40,000 pieces of the Pro8 tablet last week. The Pro8 aims to bring about digital inclusion in India with its Aadhaar integration and other features to receive digital payments. 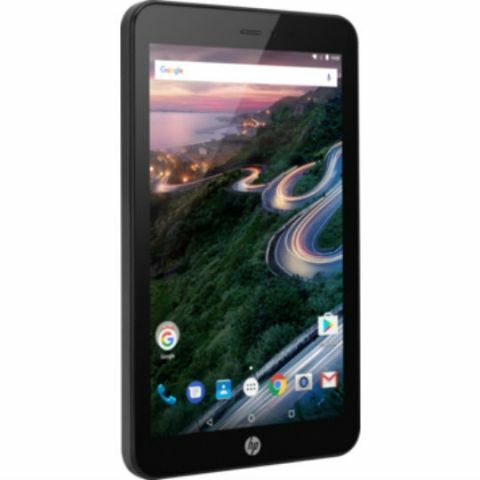 HP India has ramped up its digital team after the initial success with Pro 8 tablets when Jharkand government ordered 40,000 pieces last week, according to a top HP official. The order had come within days of the launch of the tablet, which is aimed at providing professional capabilities to the 'Digital India' initiative. "The Pro 8 tablet is made with India as its market and will help bring about digital inclusion which the government is keen on," said Sumeer Chandra, Managing Director, HP Inc India, here. Chandra, who was speaking to IANS on the sidelines of the HP Reinvent Partner Forum here, said that the device is compatible with the requirements of 'Digital India', including having a jacket where Aadhaar biometric -- fingerprint and iris scans -- could be verified. He said they were in the process of talking to several state governments for the product. The tablet is priced at just over Rs 19,000, but it was not immediately known at what price the bulk order of 40,000 to the Jhrakhand government was made. Chandra, who took over as head of India operations of HP beginning in May this year, said they were confident of selling the product to many more state governments. The Pro8 tablet range supports regional languages and comprises an 8-inch tablet, coupled with customisable features that will allow the delivery of services, including financial inclusion and benefit schemes. Chandra also said that HP India was carrying out a pilot project in Andhra Pradesh, where it had adopted 10 schools in Guntur to bring in information and communication technology (ICT) for the young. He added that they would expand the programme once the feedback from the project came in. Richard Bailey, President, Asia Pacific and Japan for HP Inc, said India was among the most important markets in the whole region and that's the reason why it had the largest number of HP employees among all the countries under him. He noted that although China was the second biggest market after the United States, India was emerging as immensely important since it was predicted to double its economy in the next few years. Bailey told IANS that the Indian market had seen a 15 per cent growth and HP was a market leader the country in both printers and PC segments. The APJ area too had seen a market share of 50.1 per cent for printers and 33.9 per cent for PCs. It was the clear leader in printers while for PCs, it was second, behind Lenovo. Bailey said the next big revolution coming was in 3D manufacturing where printers would print products from plastic materials, shaping them according to the client requirements. Such outlets have already come up in the US (like printing bureaus) where they offer digital manufacturing to all clients. The technology would be reaching India by spring next year, although he conceded that there had been no major demand seen in the country at present. "Once people know the details of its capabilities, it will become more popular," Bailey added. Chandra said he would see the growth of HP tablet taking place in the financial areas where banking could reach remote areas. Healthcare would be another area of growth for it. The device would work where a cell tower was present, he said, adding that the company provides an "end-to-end" service for the clients on tablets with full company support. The earlier experiment for providing people with laptops did not work (in Uttar Pradesh) because the complete solution had not been thought through. According to Bailey, the company had emphasised strongly on the security aspects of all its devices and that's the reason why they offer printers with the highest amount of security among all other matching products. Asked if providing embedded security against malware was not an over-protective move, Bailey said there had been some malicious attacks against printers and they do not want to leave any product vulnerable. Chandra said that not only can hackers take control of unprotected printers, most modern printers are also gateways to the network. "The hackers can reach the heart of any company or conglomerate through printers as they are connect to all the systems in a company," he said, adding that secure environment had to be secure from all attacks.